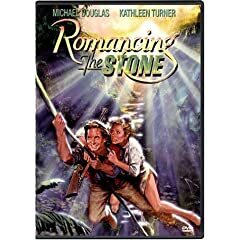 A production made Joan Wilder book cover made for the 1984 romantic-comedy adventure film, Romancing the Stone. 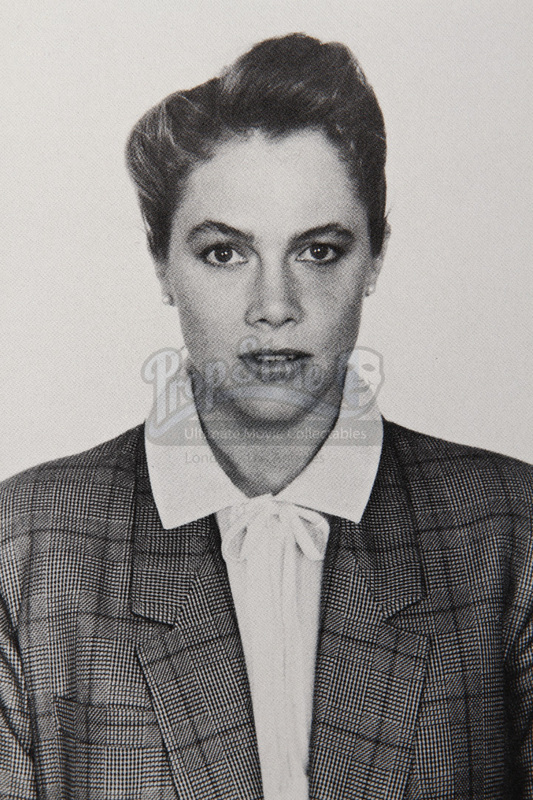 In the film, romance novelist Joan Wilder (Kathleen Turner) sets off to Colombia to ransom her kidnapped sister, and soon finds herself in the middle of a dangerous adventure. 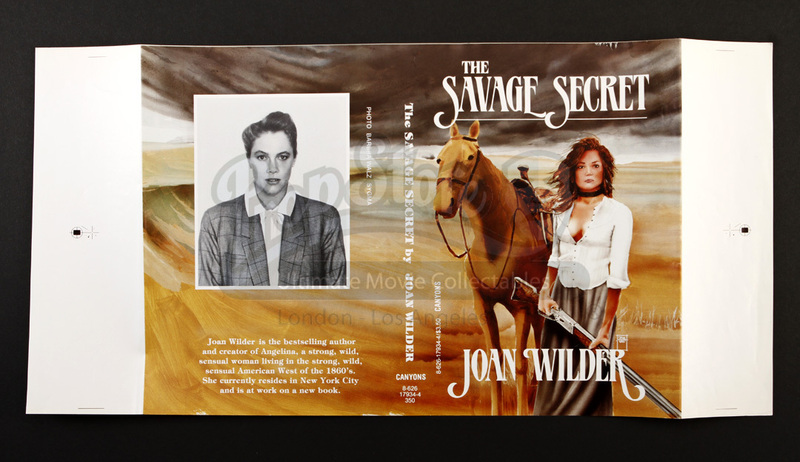 Joan's books can be found in the scene in which Wilder and Jack Colton (Michael Douglas) go to a drug dealer Juan’s (Alfonso Arau) house and discover that he is an avid fan who collects her books. 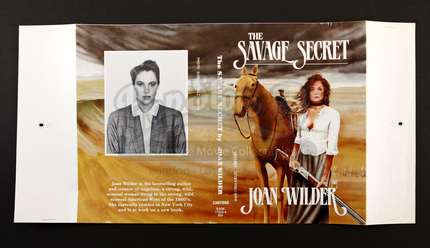 Printed on high quality paper, the cover shows Wilder's famous sensual character, Angelina, holding a rifle while standing next to a horse. 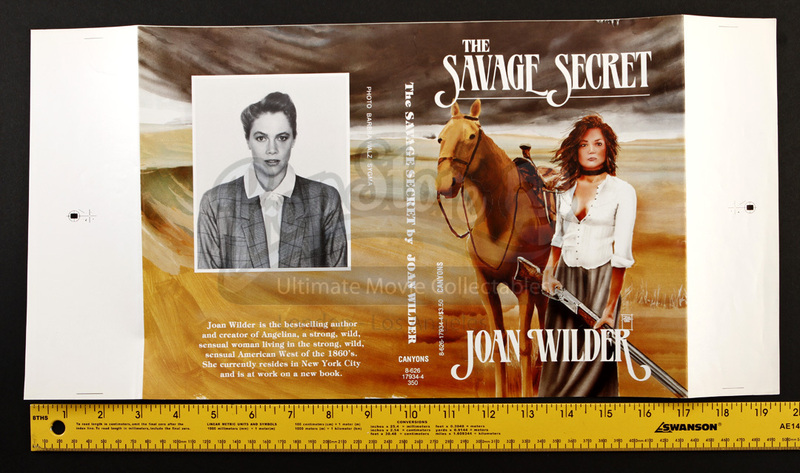 On the left side of the spine is a large photo of Wilder along with a brief bio. 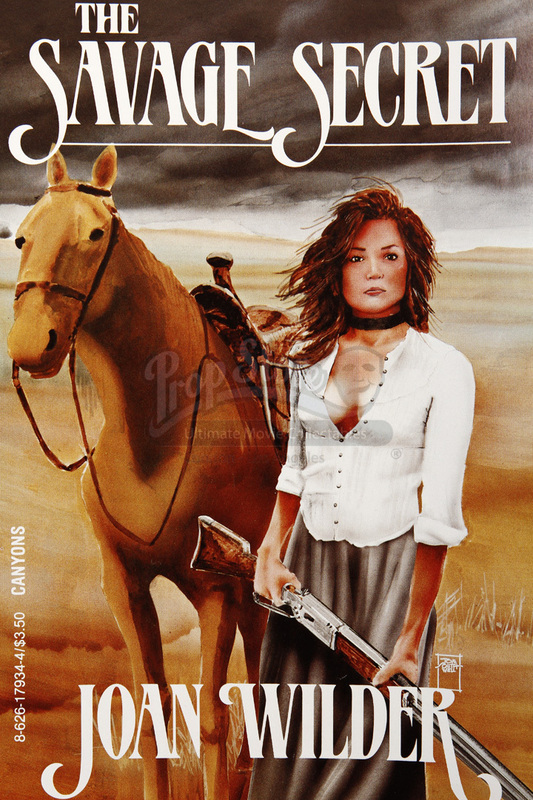 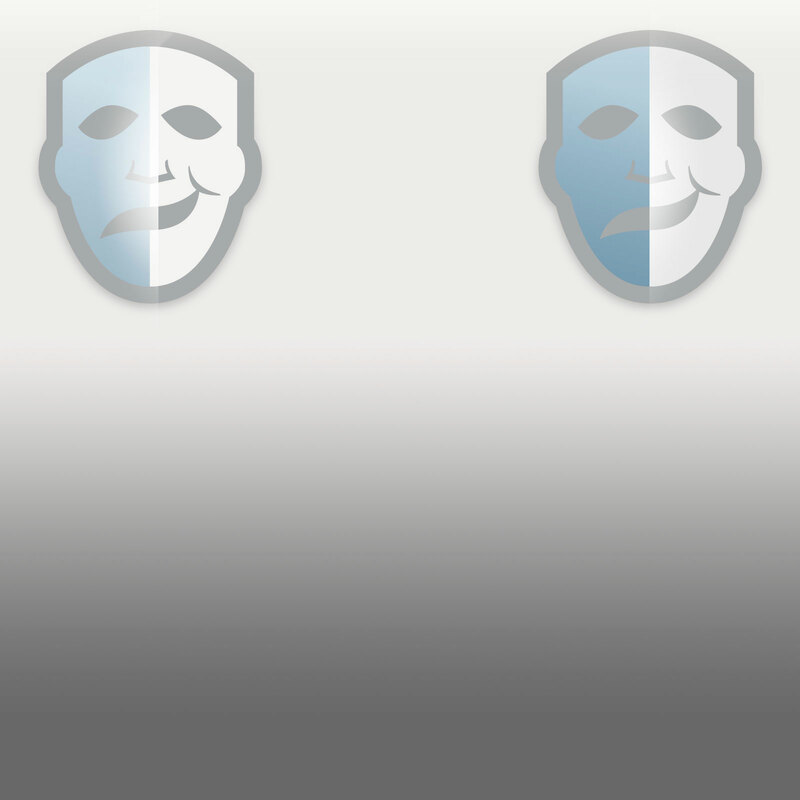 The cover features minor wear due to production use and age, however the piece remains in overall good used condition.